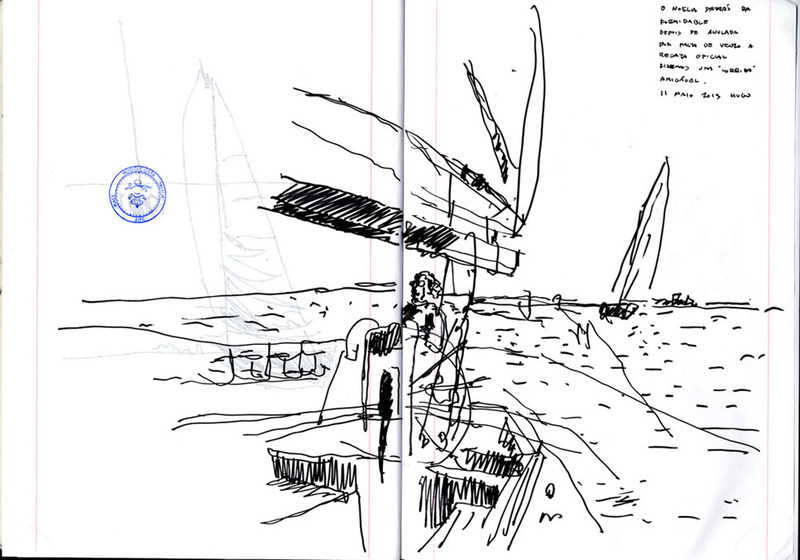 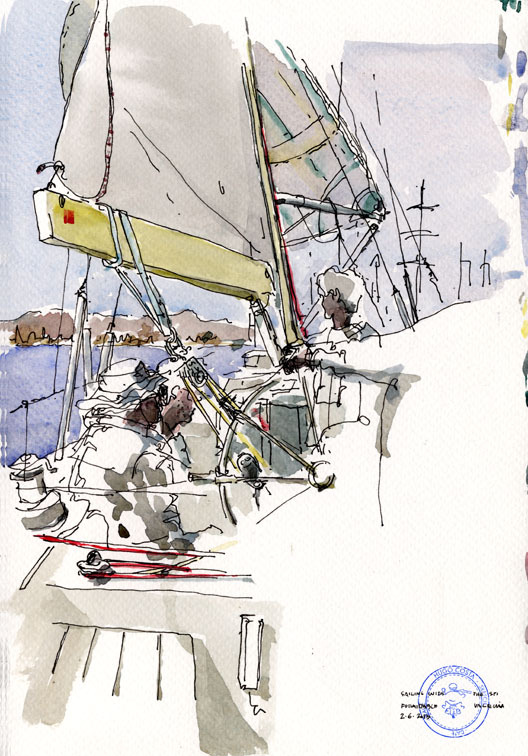 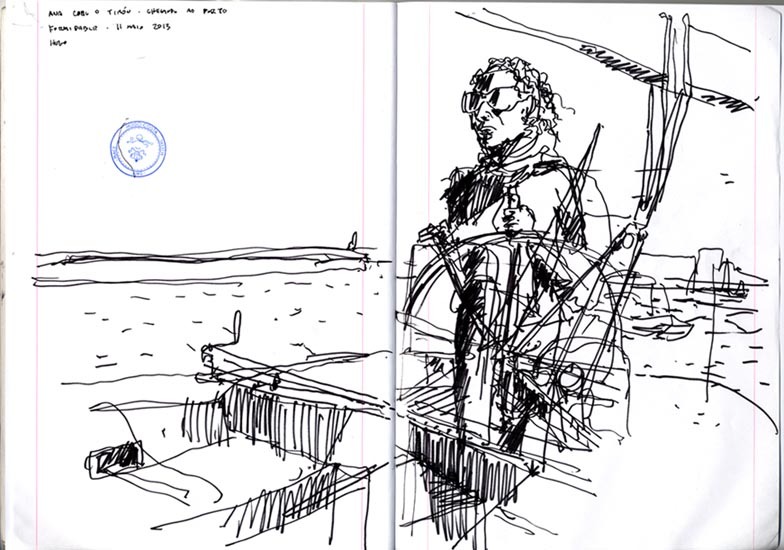 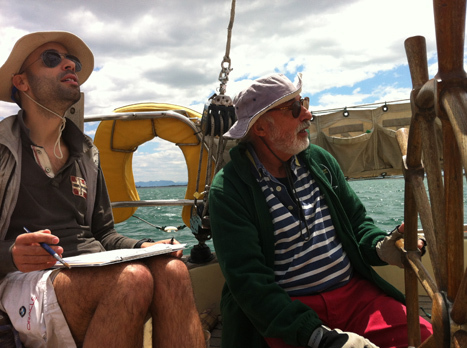 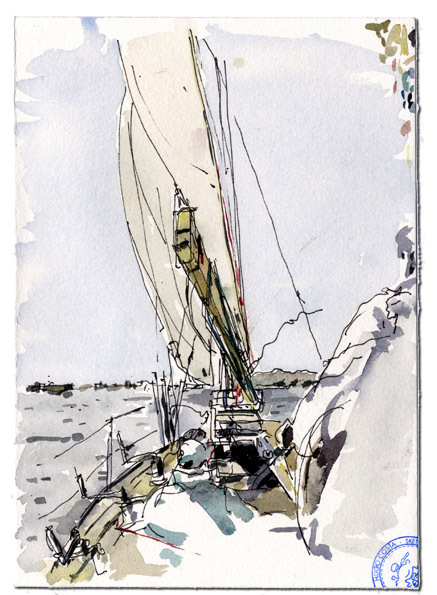 Using watercolor while sailing (in a cold and humid environment) is a bit tricky because it takes ages to get dry! 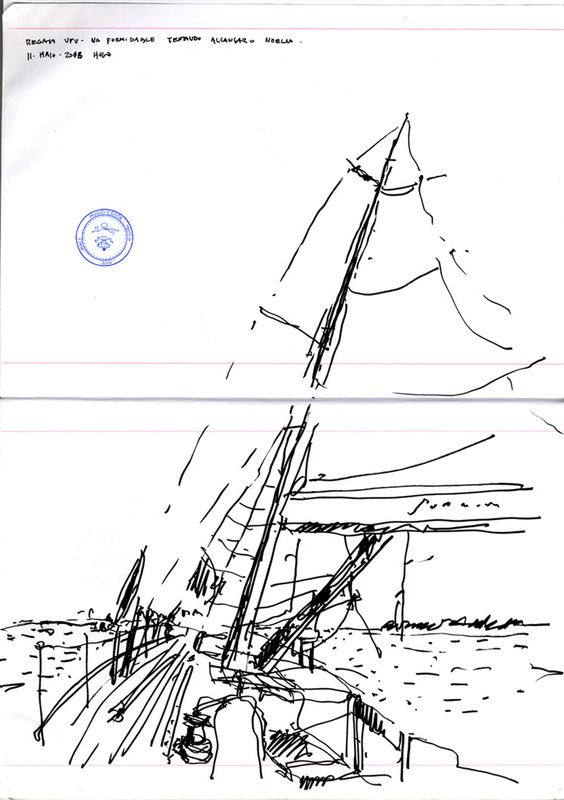 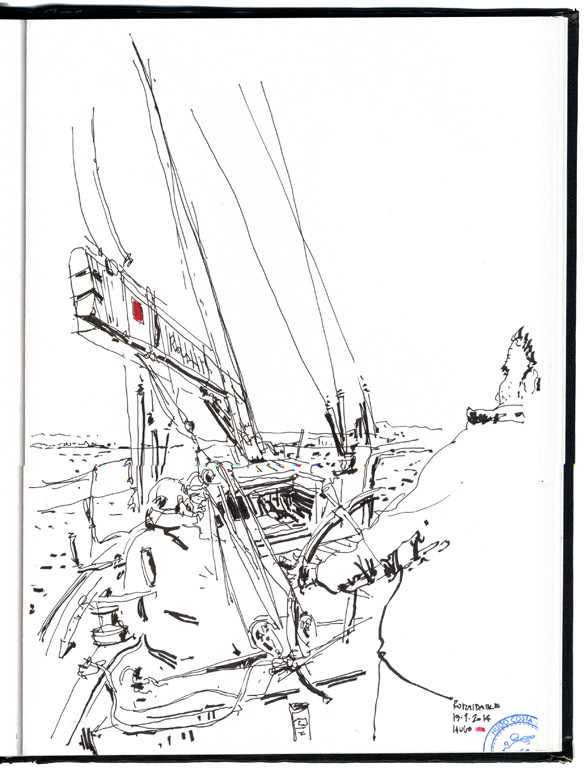 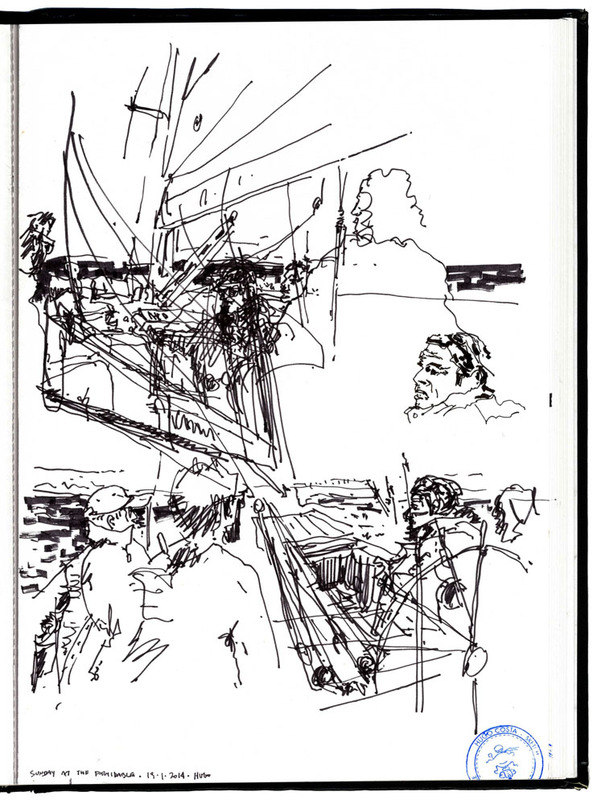 Aftter drawing this boat so many times, I feel confortable to draw it directly with my uni-ball and then painting all the scene while chatting to my friends (on the wheel or trimming the sails). 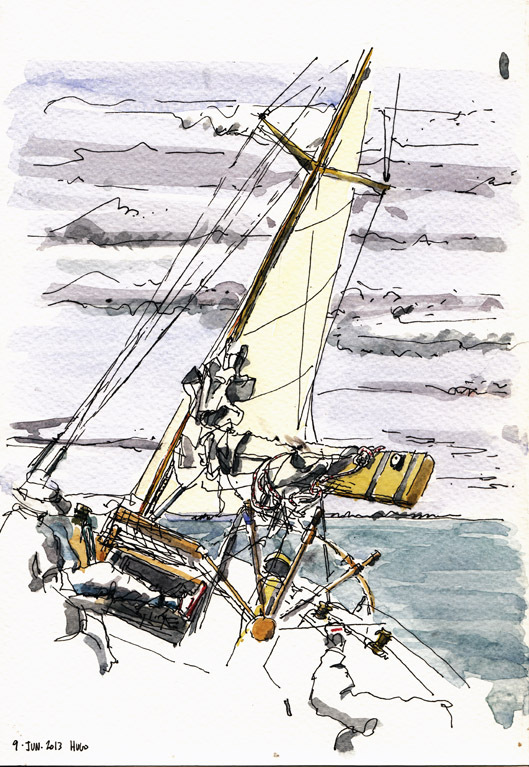 I did a little break to help to haul up the spinnaker!